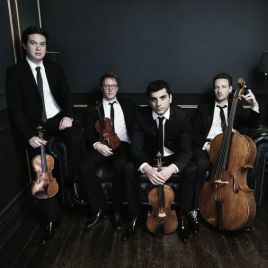 Recent BBC New Generation Artists and winners of the 2015 WIgmore International String Quartet competition, the stunning van Kuijk Quartet are ECHO RIsing Stars for the 2017/18 season. Listen to them play here. 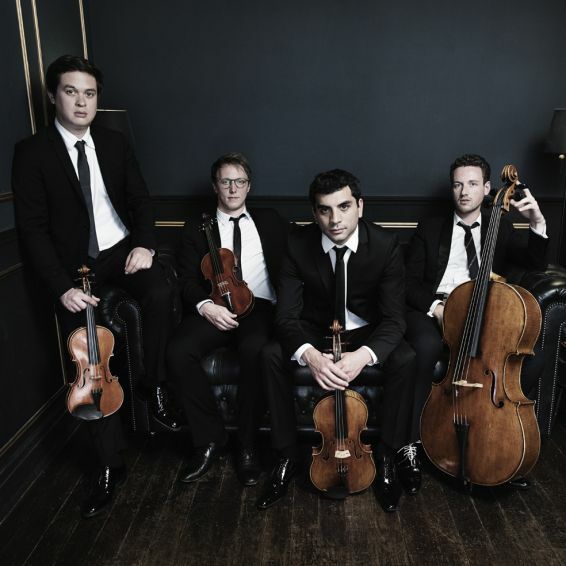 Completing two seasons as BBC New Generation Artists this autumn, the Van Kuijk Quartet’s international accolades boast First, Best Beethoven and Best Haydn Prizes at the 2015 Wigmore Hall International String Quartet competition, First Prize and an Audience Award at the Trondheim International Chamber Music Competition, as well as becoming laureates of the Aix-en-Provence Festival Academy. Further to this, they join the ECHO Rising Stars roster for the 2017/2018 season. Since their formation in 2012, the ensemble is already an established presence in major international venues, performing at the Wigmore Hall in London, Auditorium du Louvre, Philharmonie de Paris, Théâtre des Champs Elysées, and Salle Gaveau in Paris, Tonhalle in Zurich, Wiener Konzerthaus and Musikverein in Vienna, Royal Concertgebouw in Amsterdam, Berliner Philharmonie, Kölner Philharmonie, Elbphilharmonie in Hamburg, Tivoli Concert Series in Denmark, Konserthuset Stockholm, and at festivals including the BBC Proms, Cheltenham, Heidelberg, Lockenhaus, Davos, Verbier, Aix-en-Provence, Montpellier/Radio France, Evian, Auvers-sur-Oise, Stavanger (Norway), Concentus Moraviae (Czech Republic), Haydn/Esterházy in Fertod (Hungary), Eilat (Israel) and Canberra (Australia). Last season the quartet made acclaimed debuts in Hong Kong, Australia & Taiwan. They will embark on their first major tour to North America this autumn, performing at The Frick Collection in New York, The Phillips Collection in Washington DC, and Salle Bourgie in Montreal. The Van Kuijk Quartet records exclusively for Alpha Classics. Their debut recording, Mozart, was released to outstanding critical acclaim in Autumn 2016 - CHOC de Classica, DIAPASON D'OR DECOUVERTE - and is followed now by a CD of French music: the Quartets of Debussy and Ravel, alongside Chausson’s Chanson Perpétuelle with American mezzo-soprano Kate Lindsey.